The Brasada race is being rescheduled. GET DETAILS. SUP-SWIM TRIATHLON So you want to do a triathlon but that whole swim thing is not for you? Perfect how about a SUP-BIKE-RUN? No worries if you like to stay traditional, we will offer a SWIM-BIKE-RUN too! Check it out, our SUP or SWIM TRIATHLON at Pine Hollow. Free Camping and a Paddle Festival the Day before. Yes, you design it. We build it. You do it. Here is the survey and we will do the event just as you instruct. LINK to survey. 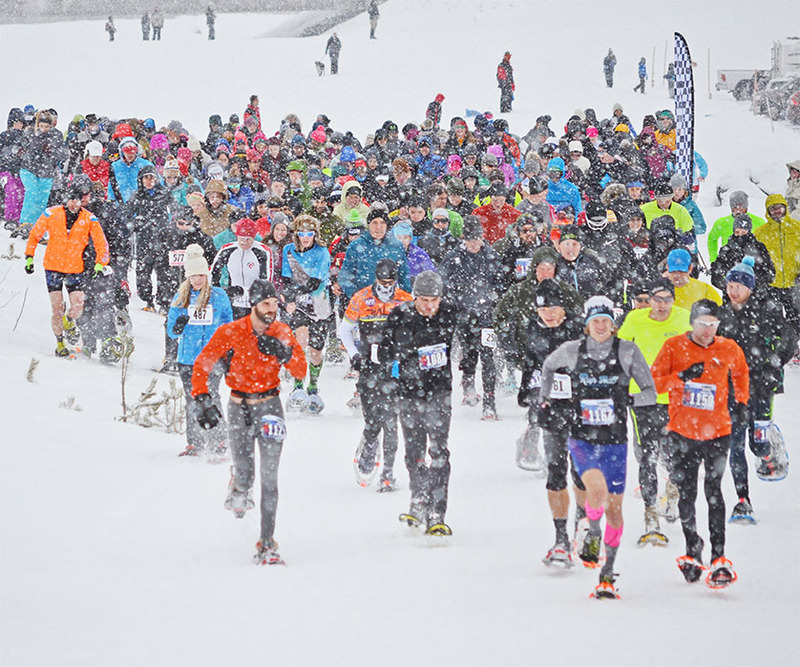 The White River Snowshoe 2019 featured a record turnout! Participants from nine states completed the largest snowshoe race on the West Coast. RESULTS. PHOTOS COMING SOON! The RACE IS BEING RESCHEDULED. A construction project will impact the event course and safety. The late notice is due to a project re-scheduling as the result of the late winter weather and snow. We will reschedule soon and announce. On the upside, we will get to use some new and even more insane ground. Keep updated. Not on any schedule. Rumors have surfaced about a secret race for X-DOG Season Pass Holders only. Looking for details? Fool... Just said it was a secret. Want info? Get a pass! EVENT FEES -- Be aware for all of our events: The sooner you register, the less it costs! Get off the couch! WATCH FOR UPCOMING NEWS AND ANNOUNCEMENTS. We are looking for some CREW! Interested in being a part of X-DOG? We are looking for some crew. We have the best crew ever! We are looking for 2-3 more! Email if you are interested. We have a SURVEY! You fill it out and we build the race at your collective request. Watch for some major changes to X-Dog's 2019 Calendar. Time to say goodbye to some old friends and welcome some new opportunities. Widmer Brothers Brewing is the OFFICIAL BEER of X-DOG. Cheers! And watch for the promos and of course beer at the events!